Supply of our Intervision (double) and Interlight System(Single) as part of the overall fitout. Supply of our interlight Single Glazing and bespoke single glazing for this unique project. Supply of Double Glazed Partition for our Interline 0 System. Supply of Double Glazed Partitions over various floor. Supply of our Intervision Double Glazed System, with Single Glazed Doors and dividing walls in Colour pre-finished panels. Suuply of Double Glazed Partitions over various floors, with Aluminium Door frame and solid doors. Supply of special Acoustic Partitions both solid veneer and Double Glazing. Also included in this project was special acoustic doors that had to achieve specified acoustic on-site value of 34dB. 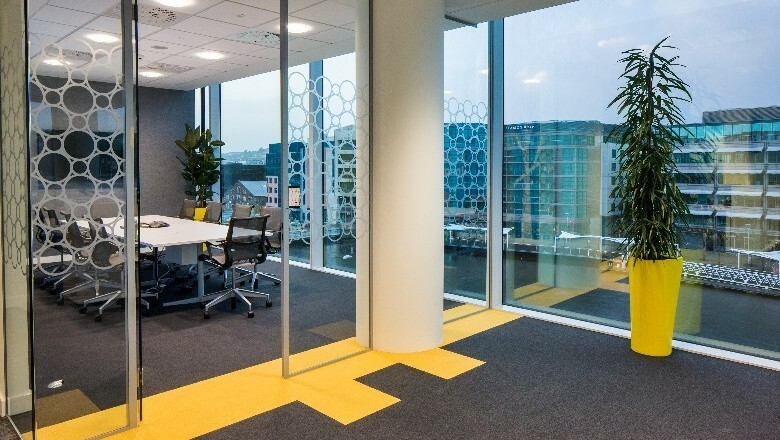 Office Interiors tendered for and won supply and installation of new demountable partitions for the department of defence new offices in Newbridge. 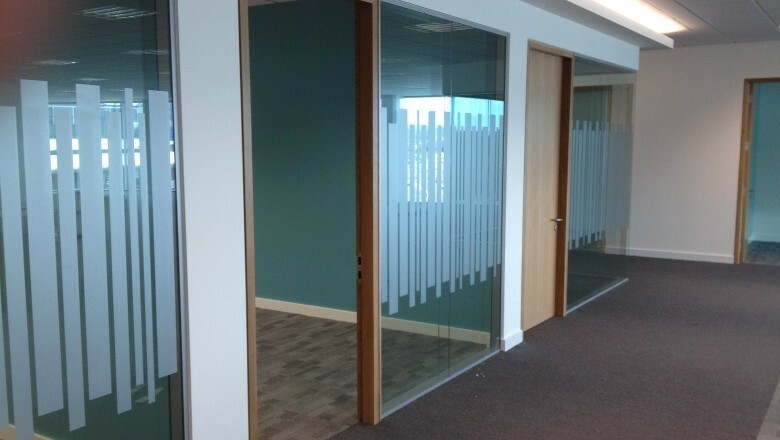 Supply of Interline 0 double glazed partitions and acoustic doors. Office Interiors tendered for and won supply and installation of new demountable partitions for the department of Fishery in Clonakilty, Co.Cork. 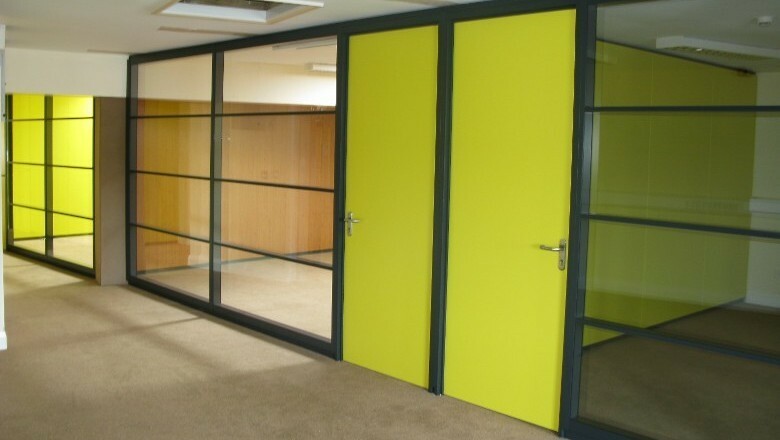 Supply of double glazed Interline 0 partition system, with Special colour steel Doors. 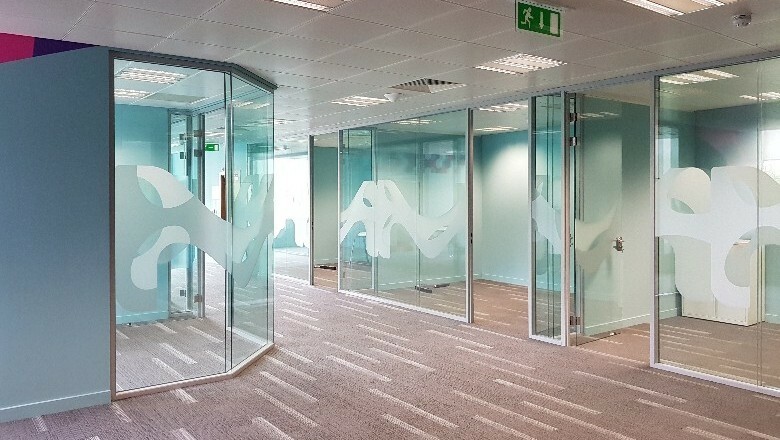 Supply of Demountable partitions for phase 1 of project and the design, layout of phase 1 of office, including the delivery of new glazed partitions and furniture. The supply and installation of new Demountable Partitions including Special Colour partitions and horizontal glazed screen.